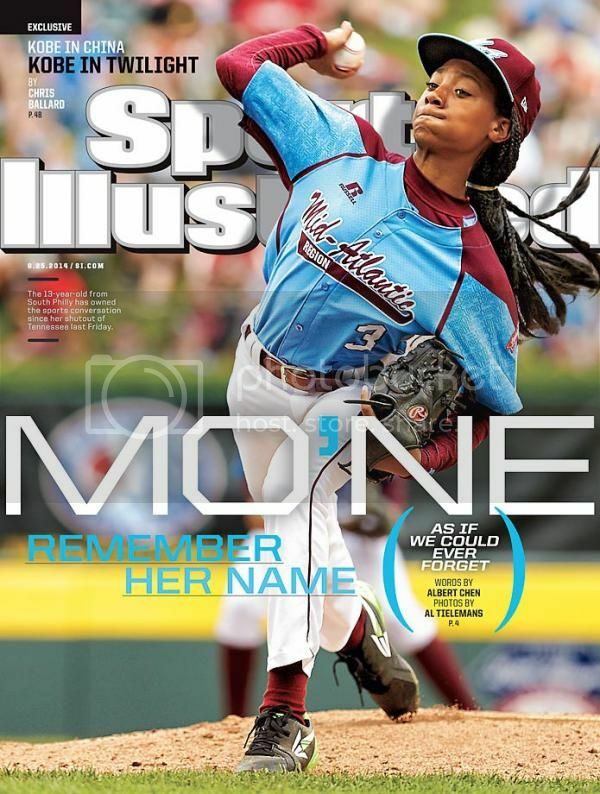 13-year-old Mo'ne Davis has captured national attention with her impeccable pitching. Her athleticism led her team, the Philadelphia Taney Dragons, to the Little League World Series where they have handily won their first two games. Mo'ne's 70 mph fastball captured the world's attention last week after the Taney Dragons qualified for the LLWS, and she made history by becoming the first girl to throw a shutout, a game in which the other team does not score a run. Davis is the first Little Leaguer ever to grace the cover of Sports Illustrated.